StorageBox is the perfect solution for Business Storage. Whether it’s documents, supplies, inventory or commercial goods, StorageBox is an easy, hassle free way for you to store and access your goods safely and securely. 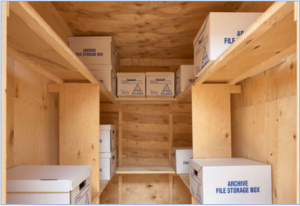 If you are short on space or moving business premises StorageBox provides the perfect, easy solution to manage your office clutter, your inventory, your stock, your equipment and supplies. The StorageBox itself and our facility ensures security while allowing you access and freeing up much needed space. The easy system for delivery and collection of the StorageBox will save valuable time and money for your business. StorageBox acts as a portable stockroom or warehouse and removes the need for rental of premises, costly removal services saving you space, time and money. 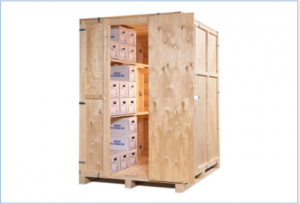 We will also deliver the StorageBox directly to you when you are ready for goods.